Tattoo Ideas For Women Over 40. 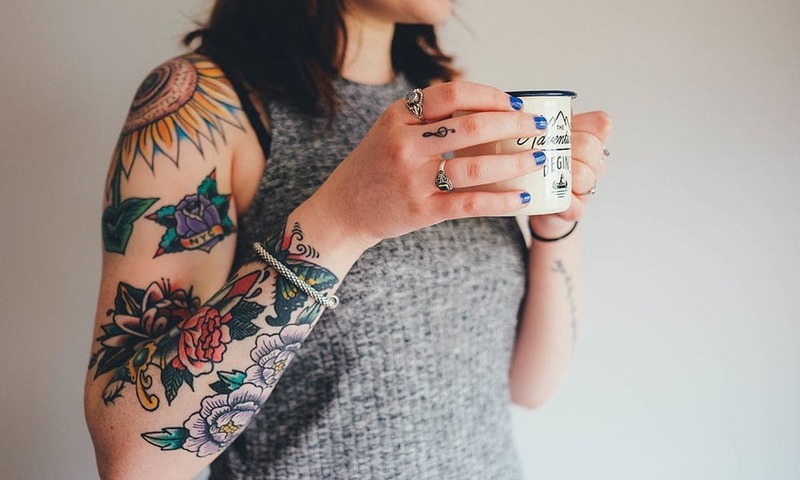 Are you a woman over 40 who has finally decided that she wants to try out a tattoo? Obviously, you’re not going to want some kind of cheesy or immature tattoo. You deserve one that is classy as you. What is more beautiful and feminine than flowers? Try to integrate some detailed and lovely flower designs on your body. Make sure that the flower tattoo design wraps around parts of your body, such as your hips, breasts, and arms. This creates a well-integrated look that is fashionable and fun. If you’re a proud mother, a tattoo is a great way to celebrate your successful children. Get their names tattooed, a nice rendition of their face, and create a saying or message for each of them. Make sure these are in an easy-to-see spot (such as on your arms or on your upper back) to ensure people see your meaningful celebration. Although some will tell you that lattice work is a little overdone, we have to disagree. We think it is used so often because it looks great and offers a variety of possibilities. Focus on your favorite animals or spiritual aspects. Make sure that you see the tattoo artists drawing skills first before getting one. If any of these tattoo ideas sound perfect to you, please contact us today. The Skin Factory Tattoo & Body Piercing shop has locations in Maui, Las Vegas and Henderson. Their talented Tattoo Artists and friendly environment makes them the best tattoo shop in the Vegas area. We can sit down with you and talk about the demands that a first tattoo can have on the body of a woman over 40.